Conversation is the most powerful tool in many wellness and beauty businesses. To build a bond with your client, start by asking your client how he or she is doing.how they have been since the last visit. Mention something you guys have discussed before or if the client had a particular event going. Keep notes on events and such in their client cards! It will make your client feel as though he or she is the most important person to have walked into your salon or boutique that day. While you’re not supposed to focus on yourself, you can tell your client your own story to make them feel comfortable and free to share their lives with you as the treatment goes on, or as he or she is waiting to be served. Be sure to turn the story and focus on the client to make him or her feel as though you’re extremely concerned about what’s happening in their lives. Discuss light matters and focus on the positive events in the news. No politics or controversial topics. Even as you ask your clients how they’re doing, be sure not to go too deep into their personal life. Again, engage in positive conversations that will make the client feel lively and enjoy his or her stay in your shop. Use the client’s name. It sounds silly but people feel special when you use their first name in a conversation. This will make a client feel recognized and important to you. Aside from the conversation aspect, the little things that are in the form of services, not necessarily the treatment process will make a client keep on coming back to your salon/spa. Try adding the following services to offer your clients. Free phone charging Many clients would appreciate if you offer them free phone charging, a service that won’t cost you a lot of money but will save them the angst of their phone going dead at some crucial moment. Keeping a stash of umbrellas at the reception that you’ll offer your clients when it’s raining and theirs is in the car will impress many of them. Always offer free coffee, tea, or water. Have disposable cups available, as some clients will want to take their coffee back to work. But don’t stop there. Why not have a bowl of granola bars or snack available too? Clients often come straight from work or while they are on their lunch break and so this will cure the hunger grumps quickly. 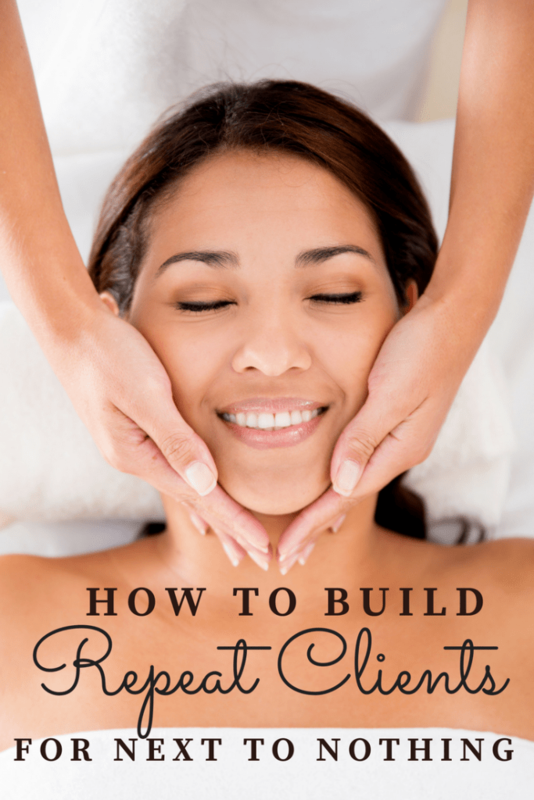 Many entrepreneurs in the beauty and fashion industry often think that retaining clients require a lot of money. 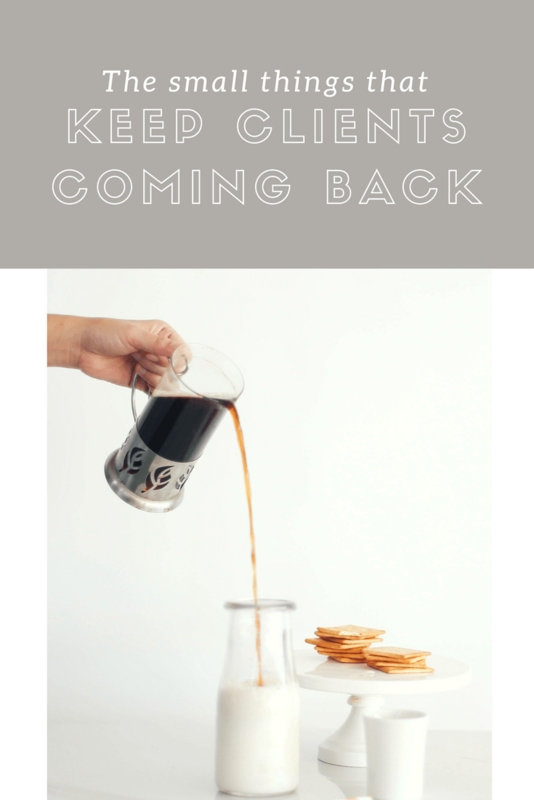 But as you’ve seen in this article, most of the little things that will make clients come back for your services are absolutely free. If your interested in this article you might be interested in how to build your client list with referrals!